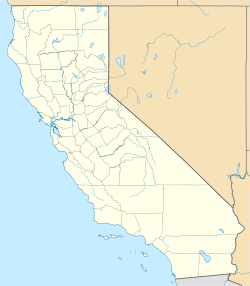 Milligan is an abandoned settlement in San Bernardino County, California. In the 1930s the Lucky Jim Mine near Milligan produced silver-copper ore which was shipped to Douglas, Arizona for smelting. Located at a railroad siding of the Arizona and California Railroad, almost all traces of the settlement are now gone. An abandoned cemetery is in Milligan with 11 unmarked graves. Milligan is located at 34.2766750, -115.1702567 along Cadiz Road. ^ "Pacific Coast Mining Activities" (PDF). The Mining Journal. January 15, 1930. p. 35.